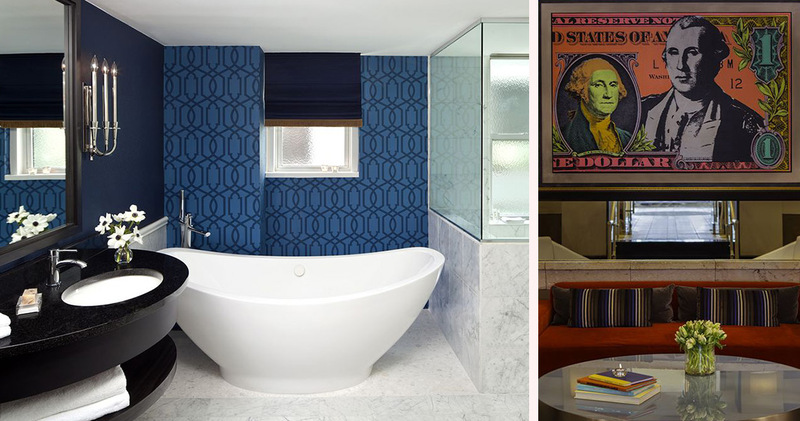 The George, A Kimpton Hotel is a bold boutique hotel with contemporary design, artful touches and beautiful accommodation. 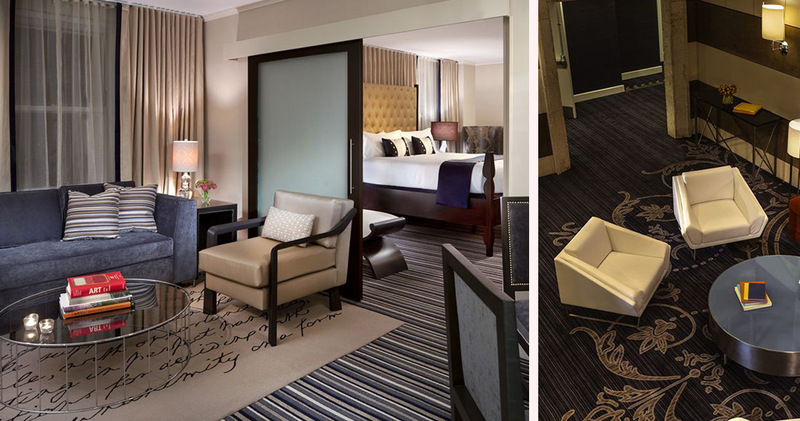 The George, A Kimpton Hotel is located conveniently close to the White House, Capitol Building and Smithsonian Museums. 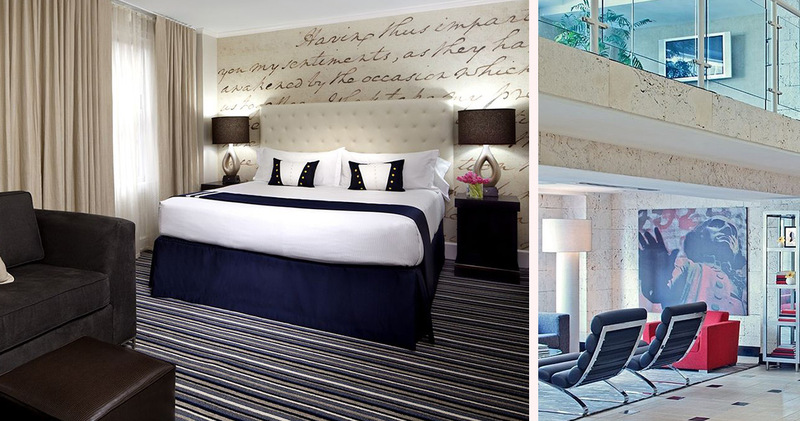 Combining classic and contemporary style, this boutique hotel has an energetic vibe. 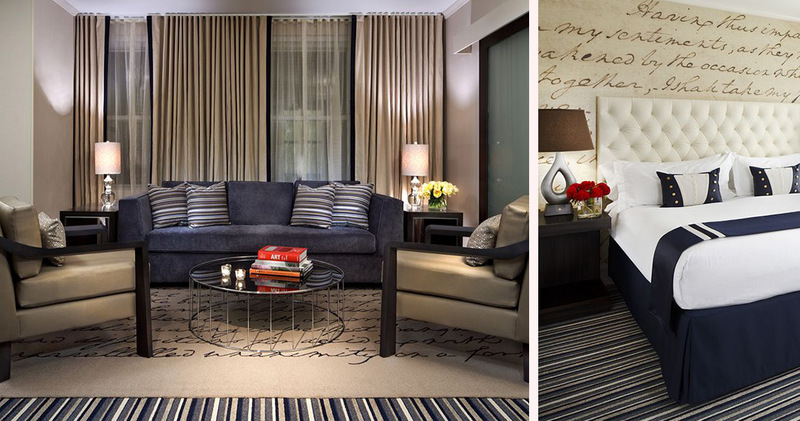 The sophisticated lobby features large windows, beautiful artwork and modern furniture. 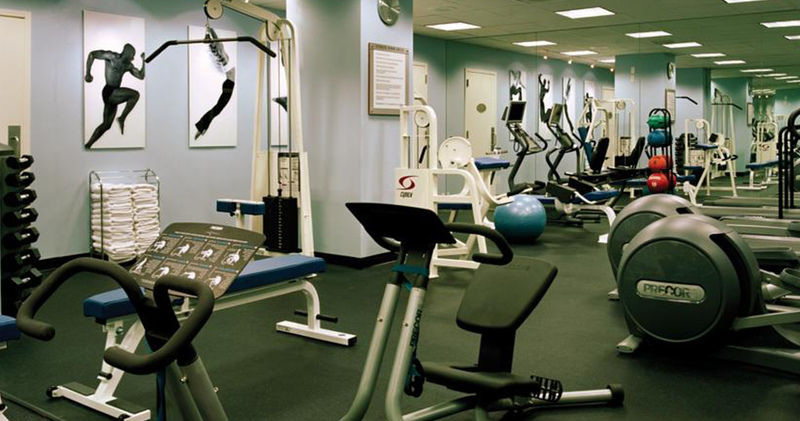 The hotel’s fitness center offers a complimentary Yoga Program and custom bikes for guests to explore the city. There is a wine hour each evening, at which guests can socialize and sample fine wines. 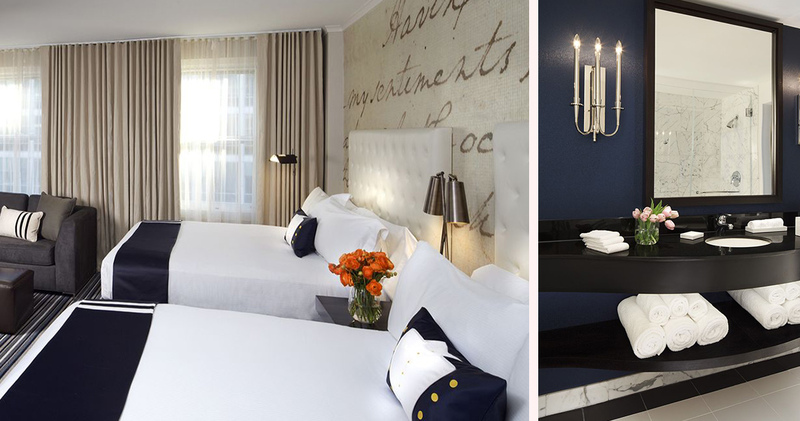 The George Hotel was recognized as one of the World’s Best Hotels in 2014 by Fodor’s. 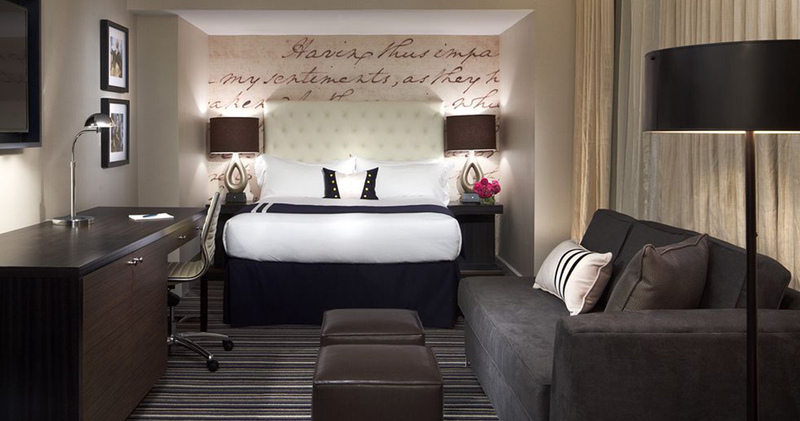 The George, A Kimpton Hotel has 139 beautifully appointed guestrooms and suites. These spacious rooms feature a sophisticated, contemporary style with muted colors, stunning artwork, ample storage space and a large work area with ergonomic chair. 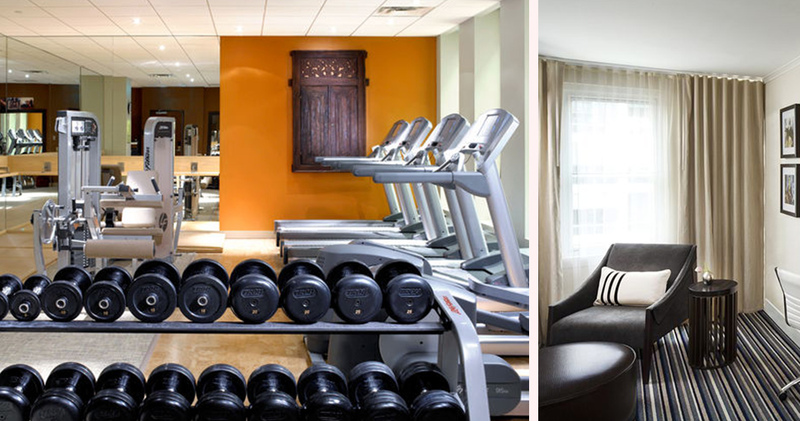 The comfortable beds feature Egyptian cotton 300-count Frette linens, and each room provides Gaiam yoga mats to compliment the hotel’s signature Yoga Program. The spacious, elegant marble bathrooms feature a glass shower, signature animal print bathrobes and luxurious Gilchrist & Soames products. The George, A Kimpton Hotel is home to Bistro Bis. Featuring multiple levels, attractive artwork, tall columns and a zinc bar, this is a stylish and sleek French bistro. Chef Jeffrey Buben’s menu features bold French fare and rotisserie. 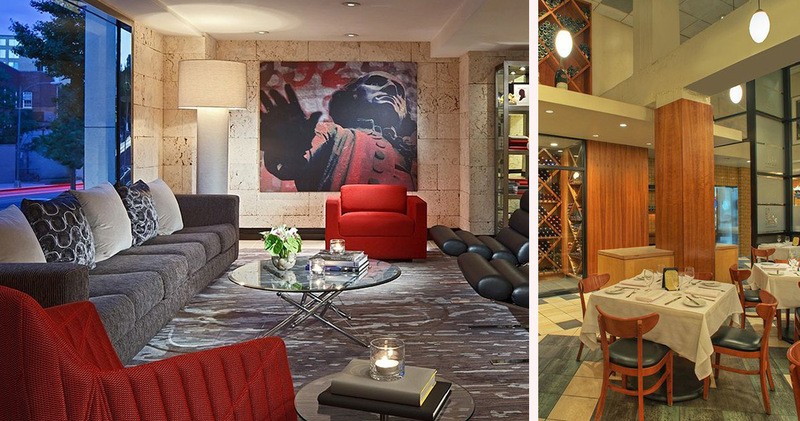 Dupont Circle is D.C.'s cultural and urban center and a trendsetting neighborhood with vibrant energy. The upscale area is best known for its art galleries, museums, urban cafes and funky offbeat shops. The area has plenty of excellent dining and nightlife venues like Komi, Hank's Oyster Bar and the Eighteenth Street Lounge. When it comes to shopping, visitors will find unique options like Bloom, Betsy Fisher and Kramerbooks & Afterwords. Dupont Circle's grassy lawns are perfect for people-watching or relaxing. For sightseeing, the neighborhood has several good attractions like the National Geographic Museum, Heurich House Museum and the Phillips Collection.